This tutorial shows how to prepare an OpenSUSE 12.1 64bit (x86_64) server with nginx for the installation of ISPConfig 3, and how to install ISPConfig 3. Since version 3.0.4, ISPConfig comes with full support for the nginx web server in addition to Apache, and this tutorial covers the setup of a server that uses nginx instead of Apache. ISPConfig 3 is a webhosting control panel that allows you to configure the following services through a web browser: nginx and Apache web server, Postfix mail server, MySQL, Dovecot POP3/IMAP, BIND or MyDNS nameserver, PureFTPd, SpamAssassin, ClamAV, and many more. If you want to use nginx instead of Apache with ISPConfig, please note that your nginx version must be at least 0.8.21, and you must install PHP-FPM as well. For CGI/Perl support, you must use fcgiwrap. This is all covered by this tutorial. 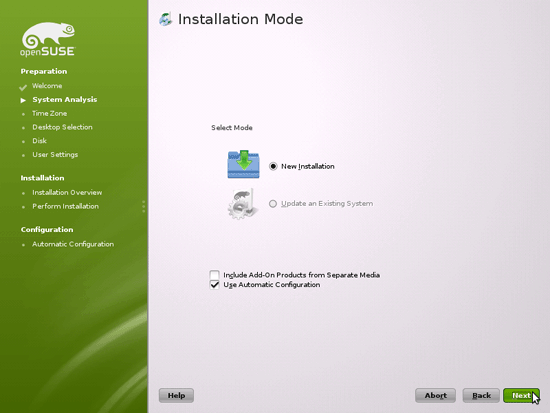 In the end you should have a system that works reliably and is easily manageable with the ISPConfig 3 control panel. 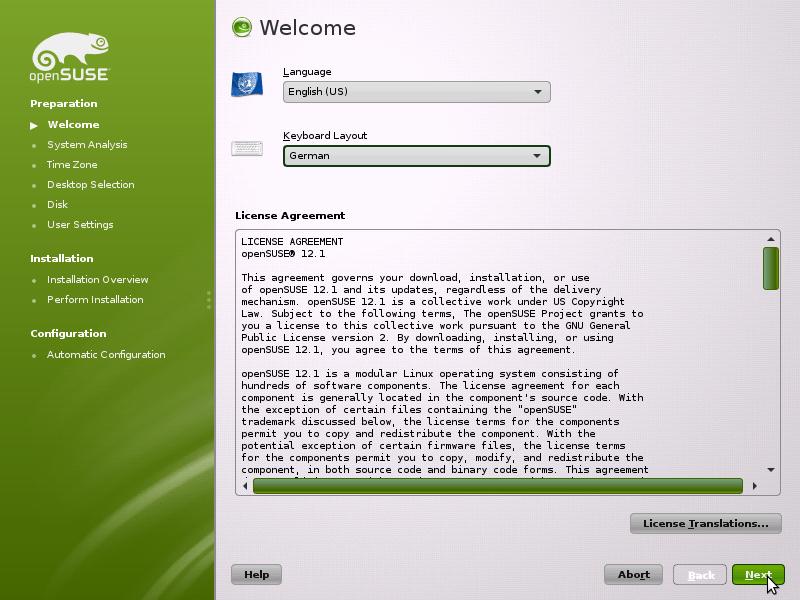 The following guide is for the 64bit version of OpenSUSE. Notice: This guide is for ISPConfig 3.0.4 or newer. It is not suitable for ISPConfig 2.x! On about 300 pages, it covers the concept behind ISPConfig (admin, resellers, clients), explains how to install and update ISPConfig 3, includes a reference for all forms and form fields in ISPConfig together with examples of valid inputs, and provides tutorials for the most common tasks in ISPConfig 3. It also lines out how to make your server more secure and comes with a troubleshooting section at the end. In this tutorial I use the hostname server1.example.com with the IP address 192.168.0.100 and the gateway 192.168.0.1. These settings might differ for you, so you have to replace them where appropriate. 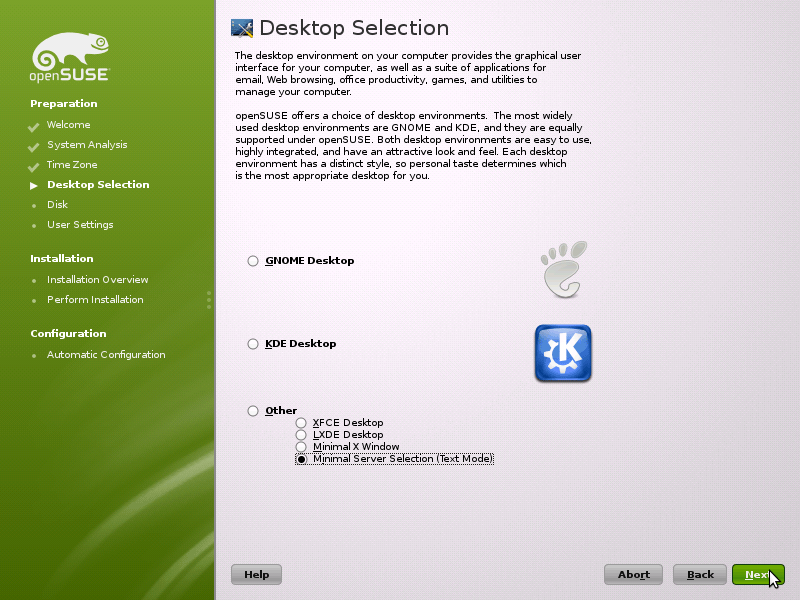 We select Other > Minimal Server Selection (Text Mode) here as we want to install a server without X-Window desktop. The X-Window system is not necessary to run the server and would slow down the system. We will do all administration tasks on the shell or through an SSH connection, e.g. via PuTTY from a remote desktop. Very nice and symple tutorial and it work !!!!! Script For Automatically Setting Up A Perfect Server On OpenSUSE 11.3 And Installing ISPConfig 3. With Web Server: nginx or Apache?